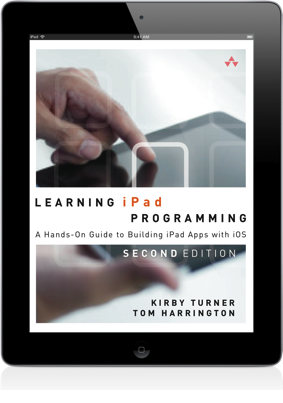 Learning iPad Programming, Second Edition, will help you master all facets of iPad programming with Objective-C and Xcode. Its in-depth, hands-on coverage fully addresses the entire development process, from installing the iOS SDK through coding, debugging, submitting apps for Apple’s review, and deployment. PhotoWheel, the app from the book, is available for download from the App Store. Visit photowheelapp.com to learn more about the app or download it now from the App Store. Source from the Learning iPad Programming book and LiveLesson videos. List of other recommended iOS and Mac programming related books for your reading pleasure. 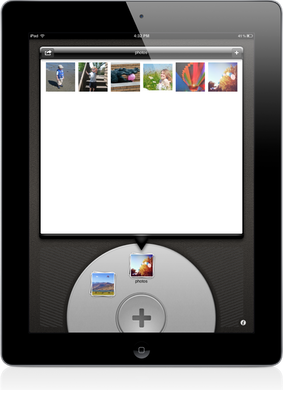 PhotoWheel is the app you build as you read through Learning iPad Programming. © 2011-2013 Kirby Turner and Tom Harrington. All Rights Reserved.